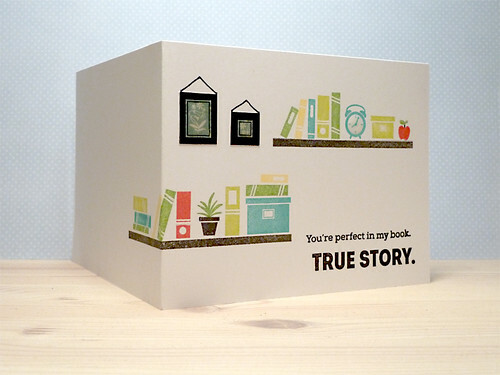 This is a birthday card made for Emil who turns two years old in February. 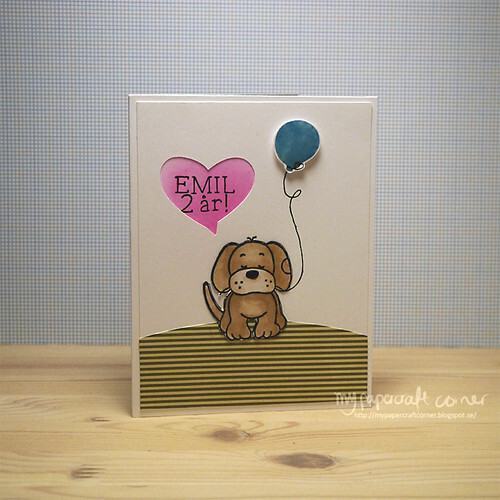 I used stamps from Simon Says Stamp (balloon), Lawn Fawn (letter stamps) and an unknown dog stamp. I also used my Silhouette Cameo to cut out the heart and a curved A2 die from Simon Says Stamp for the patterned paper in the bottom. The dog is colored with Distress Markers on to watercolor paper. The balloon and the heart is colored with Distress ink. Other supplies used: Wink of Stella glitter pen and Glossy Accents on the balloon and Enamel accents for the dogs nose. 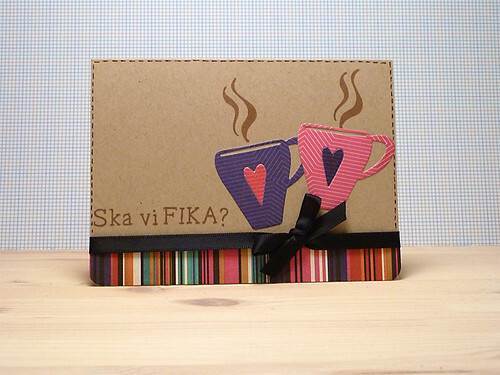 Hope Emil will like the card! 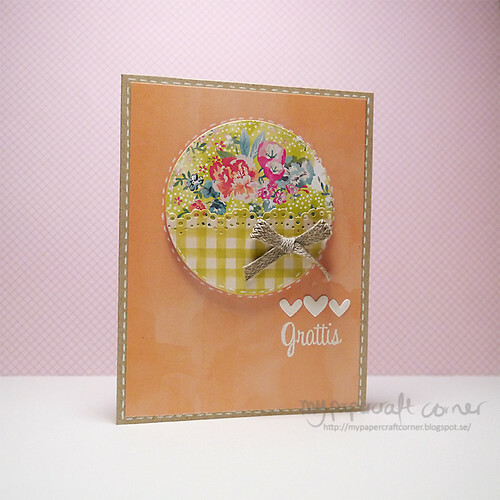 This is a card made with papers and ribbon from Simon Says Stamp February 2014 card kit. 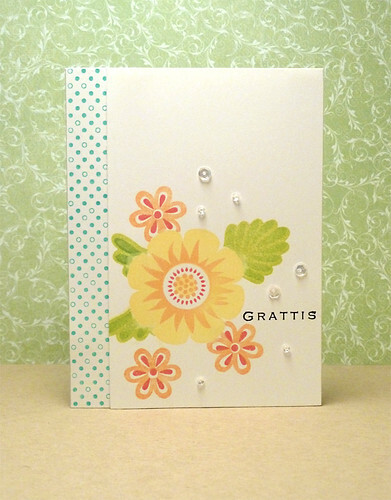 The greeting is white heat embossed and it comes from a text stamp from Inkido that says Congratulations in Swedish. I also used circle dies, border punch and heart dies. The hearts are coated with the Wink of Stella Clear glitter and Glossy Accents. 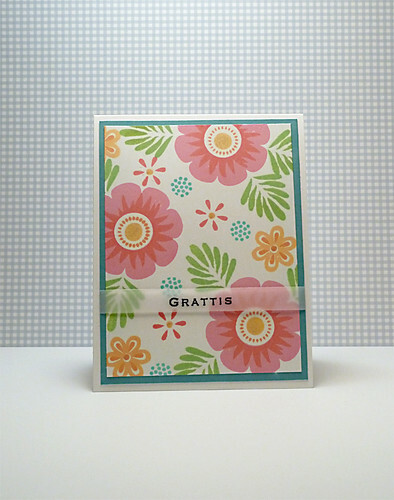 The card is based on a sketch from Kortskissen #288. 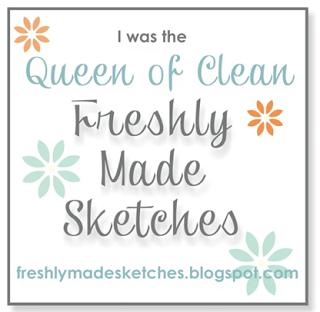 This is the second card made with paper from the Simon Says Stamp Card Kit January 2015. It's based on a sketch from Freshly Made Sketches #168. 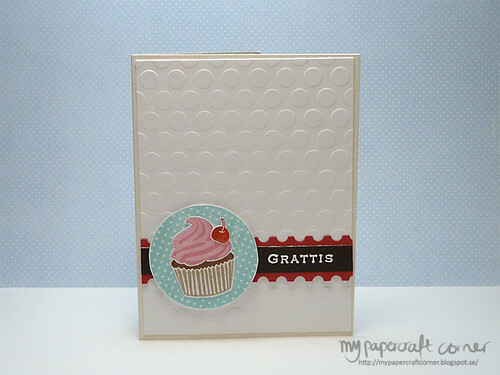 The text stamp comes from Inkido and I used white embossing powder. 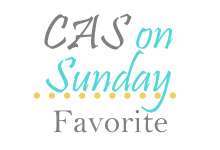 Today I found that my card had been chosen as one of the top three on CAS on Sunday blog from the Christmas challenge #49. Thank you so much! 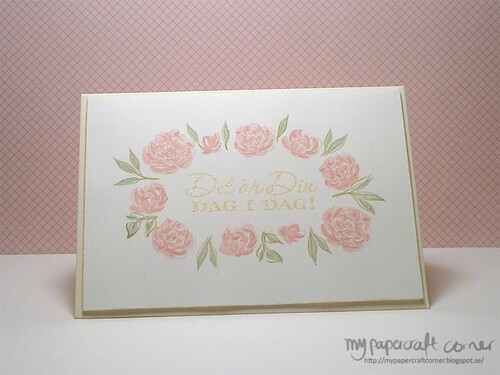 A congratulation card in pastel colors. 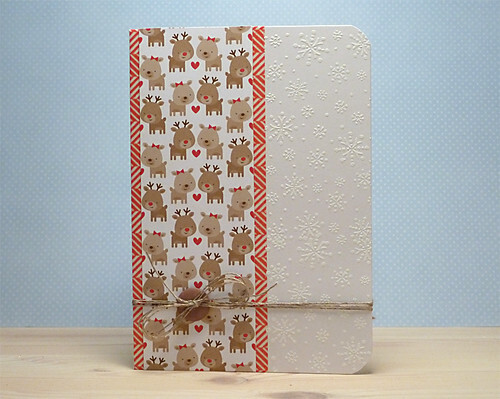 Other supplies: Embossing powder Enchanted Gold. 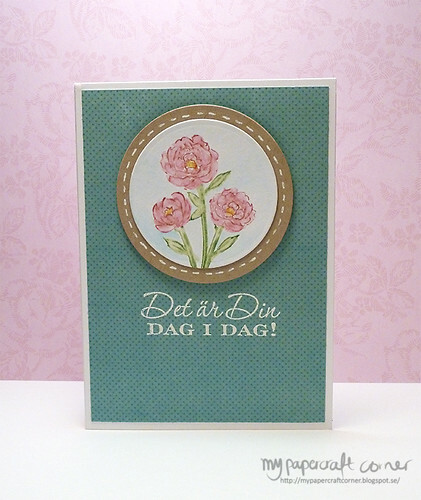 This card is also based on a sketch from Kortskissen #279. 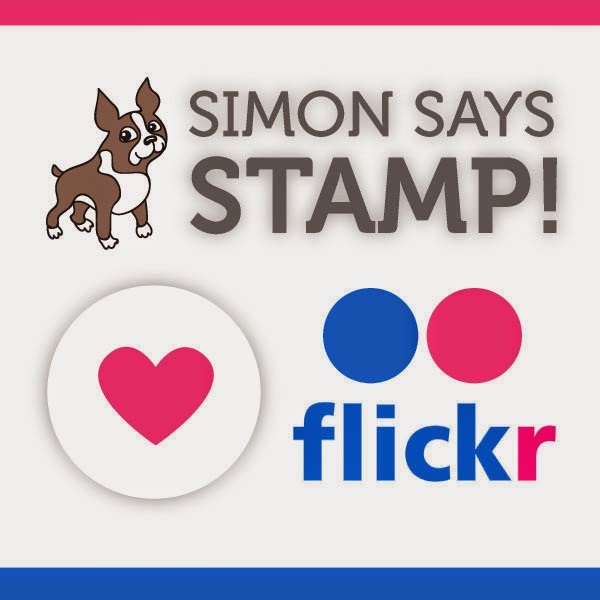 Stamps: Simon Says Stamp Cupcake party, Gummiapan. Inks: Hero arts ink and Simon Says Stamp inks. Other supplies used: White embossing powder, Fiskars border punch, embossing folder from Cuttlebug, Glossy Accents, Wink of Stella clear glitter pen. 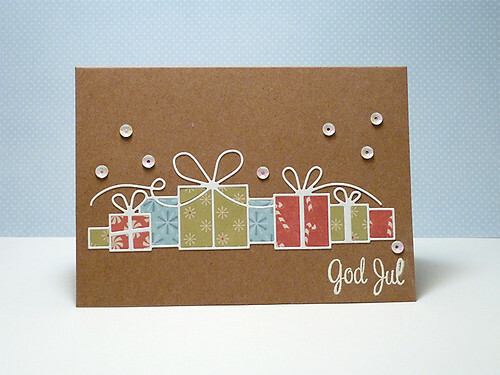 This is a card made for the CAS on Sunday Challenge #49, the theme is christmas and I used stamps from Simon Says Stamp Card Kit November 2014. I masked off an area on the card and colored it with distress inks. 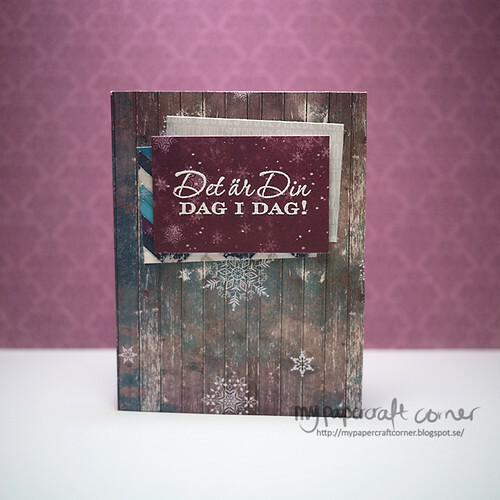 I then stamped and embossed the stars with Liquid platinum embossing powder. 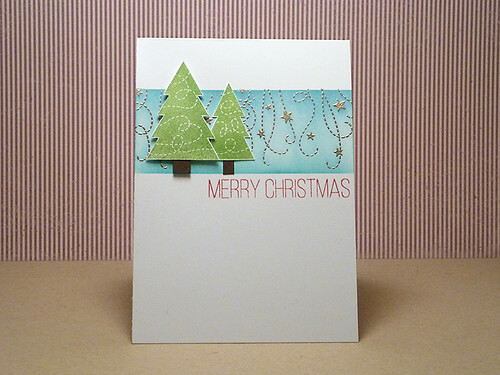 The trees are stamped with ink from Avery Elle and the greeting is stamped with Hero Arts ink.